Salman Khan's special friend, Iulia Vantur seems to be seriously pursuing Hindi music. After recording a single with Sachin Gupta, the Romanian actress is ready to unveil a song with actor-host Maniesh Paul. She has not only lent her voice to it, but will also shoot for a music video featuring her with Maniesh. Produced by Sangeeta Manjrekar, the music video is being directed by composer Sachin Gupta. Gupta tells, "Manish has this hidden talent [as a singer] and you will realise that after listening to the song. Iulia's voice has an amazing texture. She has sung beautifully. Both have done justice to my composition." introduced dilijit dosanj to bollywood with song in mere dad ki marutie and for dharmendar sir and sunny deol in yamla pagla deewana. 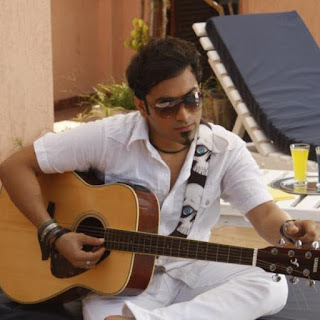 Gupta has earlier scored music for films like Prince,Mere Dad Ki Maruti (2013) and Yamla Pagla Deewana (2011). "I am returning with a single after five years and this album marks my debut as a music video director as well," he adds.